Friday, March 27 Mohawk Middle School students perform at the Springfield Falcons Hockey Game. Saturday, March 28 Concert Band at the MICCA Festival at Belchertown High School at 3:00 pm. Mohawk’s Concert Band will be participating for the first time in the Massachusetts Instrumental and Choral Conductors Association (MICCA) Festival. Tuesday, April 14 Mohawk Music Association meeting at 6:30 pm in the library. Forty-nine students auditioned for our spring theatrical productions! Senior Laura Purington will be directing “The Breakfast Club” and middle school English teacher Leanne Blaszak is producing “All Talk”, a series of monologues and short plays. Rehearsals for “All Talk” begin this Monday afternoon, March 23. Below you can find a summary of what students are learning in high school music classes. You can also read about special workshops for Select Chorus, Concert Band’s participation in the MICCA Festival, and Tri-M’s upcoming activities with elementary and middle school music students. Concert Band students are rehearsing music for the MICCA Festival in March, where the ensemble will perform for a panel of adjudicators and receive coaching by distinguished music educators. In Concert Chorus, students are beginning two new pieces: a slow, lyrical song called “The Nightingale,” and an energetic folk song called “Ezekiel Saw the Wheel.” Select Chorus is returning to a song we studied last year but never performed because of its rhythmic complexity: “Thulele Mama Ya.” Select is also refining their interpretation of “Run To You,” and moving forward with their study of “With Drooping Wings” (more details below). Students in strings class are focusing on intonation, and are progressing with their work on original arrangements of rock songs. Jazz band students finished up their unit on the Blues and recently completed an improvisation quiz on Duke Ellington’s “C-Jam Blues.” They are now studying “A Night in Tunisia.” Music Theory students are working on how to notate syncopated rhythms and have successfully notated the bass line for “Don’t Stop Believing” in Musescore music notation software. Next week they will begin their midterm project: they will create a lead sheet in Musescore. Thanks to a Mary Lyon Foundation Mini-Grant, members of Select Chorus will be working with soprano Shelley Roberts in the coming weeks in a series of vocal workshops! Select is studying “With Drooping Wings,” the haunting and tragic conclusion to Henry Purcell’s 1688 opera Dido and Aeneas. In order to meet the challenges in this piece, our singers will learn special vocal techniques and performances practices with Ms. Roberts – the same Shelley Roberts who directed last year’s “Wizard of Oz” and this year’s “Seussical”! She is also a Mohawk alumni and a graduate of Westminster Choir College. Concert Band will be participating for the first time in the Massachusetts Instrumental and Choral Conductors Association (MICCA) Festival. The festival will take place at Belchertown High School on Saturday, March 28. We are performing at 3:00pm. Our performance will be adjudicated by a panel of distinguished music educators, and we will receive a 30 minute clinic with one of the judges. We will also be able to hear other schools’ performances, and we will stay for an awards ceremony. The week following the festival, students in Concert Band will be able to hear a recording of their performance and read the adjudicators’ comments and suggestions for improvement. This is a very important formative assessment for Concert Band, and we look forward to the opportunity to receive critical feedback as we aspire to higher levels of performance. 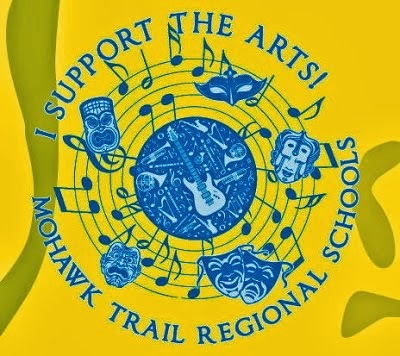 Mohawk’s chapter of Tri-M, the National Music Honors Society, is working to connect the high school’s performing arts program with middle school and the elementary schools. Tri-M recently led a successful acting workshop for middle school students, and they are hoping to continue to mentor middle school cast members in the spring production of Monologues. Tri-M members are also arranging to host members of the 8th grade band and chorus in high school band and chorus classes in mid-April. Possible outreach with elementary school music students is also in the works, and Tri-M may be coordinating high school volunteers to assist with Kids in Concert. More details to follow!